I eked out the most recent #PNWPokerleaderboard on the Fourth of July—over a month ago—but even that only covered tournaments reported through the end of June. Then, Hendon Mob changed the format of their reports (from which this info is drawn), and all of the tools I’d written to automate the process were busted. Updating them took me some time, what with a broken wrist, but it’s finally done, so let’s catch up on how Pacific Northwest players did in the last weeks of the World Series of Poker and other events! At the top of the board, of course, is Kao Saechao. His 16th-place finish at the World Series of Poker Main Event puts him just outside the million-dollar club of the top two dozen players in the Pacific Northwest (and as I’ve mentioned before, some of those people don’t actually live here any more). The Main Event made some money for a number of other PNW players, as well. Notable was Mason Barrell of Eugene who has exactly one Hendon Mob cash on his record: 70th place in the field of 7,874. That’s in the top 1% of the Main Event for his only recorded cash. Washington’s Eric Kepper and Bothell’s Aaron Moreau-Cook got their first recorded cashes (at 131st and 354th, respectively). Making it to 73rd, Ahmed Amin of Seattle just about doubled his recorded tournament winnings; Takashi Matsushita (also Seattle) took 261st for nearly ten times his previous records. Paul Varrano (Pullman), Christopher Leslie (Portland), and Adam Walton (Seattle) made the same payout tier at 387th, 352nd, and 407th, but I gotta give the not to Adam for making a little extra by cashing in the Wynn Summer Classic $5K Survivor about a week earlier. I prefer the poker players who survive. If you missed the great 5th-place run of Jacki Burkhart in the WSOP #57 $1,000/$10,000 NLHE Ladies Championship and were having trouble finding the replay, have no fear, because it’s still on Twitch, but since they switched over from the very end of the $10K Razz Championship just a quarter hour after the stream started, it’s labeled for that game. You can hear a little rightful bitching about the marginalization of the tournament by the WSOP and broadcast media in Jamie Kerstetter and Chad Holloway‘s LFG Podcast, where they interview Molly Mossey, the 7th-place finisher. Jacki and Jamie are both scheduled to play the Poker Night in America Ladies Night on Friday this week, (along with Lily Kiletto, Natasha Mercier, and Danielle “@dmoongirl” Andersen). James Romero didn’t post any big cashes at the WSOP (I mean, he got a double-up for 608th in the Main Event but that’s piker’s money for Romero), he did make six figures for 3rd place at the Venetian/Mid-States Poker Tour $3.5K NLHE Big Blind Ante, as well as decent ROI for the Venetian/Card Player Poker Tour #126 taking 17th. Darren Rabinowitz placed 13th in that one, and took 5th in the Wynn $200K NLHE. There was a James Christopher Romero from Wilsonville who grabbed 7th at the Larry Flynt Grand Slam of Poker $777,777 NLHE at the end of the month, which seems like a weird coincidence, particularly since JCR’s only other recorded cash is from a tournament last summer in Macau, but I could just be mistaken about that coincidence. Friend of the blog Ryan Stoker placed 4th in a Wynn Summer Classic $1M NLHE at the end of June (won by Athanosios Polychronopoulos, the favorite name of every poker reporter). It looks like a three-way deal was made after Ryan busted, but he did quite well. Kirkland’s Matthew Simmons got a huge boost to his lifetime earnings with the best part of a four-way deal at the Planet Hollywood GOLIATH $500K NLHE. Bill Patten, one of the owners of the late Aces Full club on SE Powell, won a huge WSOP Daily Deepstack in June, with 1,199 entries, which brings him to the brink of $100K in recorded cashes. 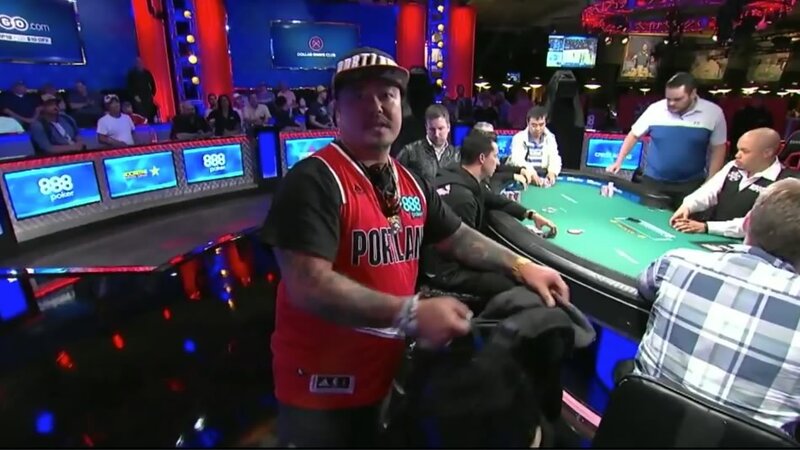 Lee Markholt, one of the biggest names in poker in the PNW (and #6 on the all-time earnings list for the region) cranked it up a little bit by finishing 5th in the WSOP #76 $3,000 HORSE. Jesse Hampton of Mercer Island came in 9th, effectively doubling his lifetime earnings. The WSOP #63 NLHE High Roller got 480 entries; Bellevue’s Noah Bronstein added a nice chunk to his record by placing 4th. Back over at a Wynn Summer Classic $100K NLHE on 1 July, Garry Bleisner from Spokane Valley took 2nd in a 3-way deal (with more than $100K left in the $240K prize pool) that dwarfed his previous earnings and got him on the PNW Leaderboard. 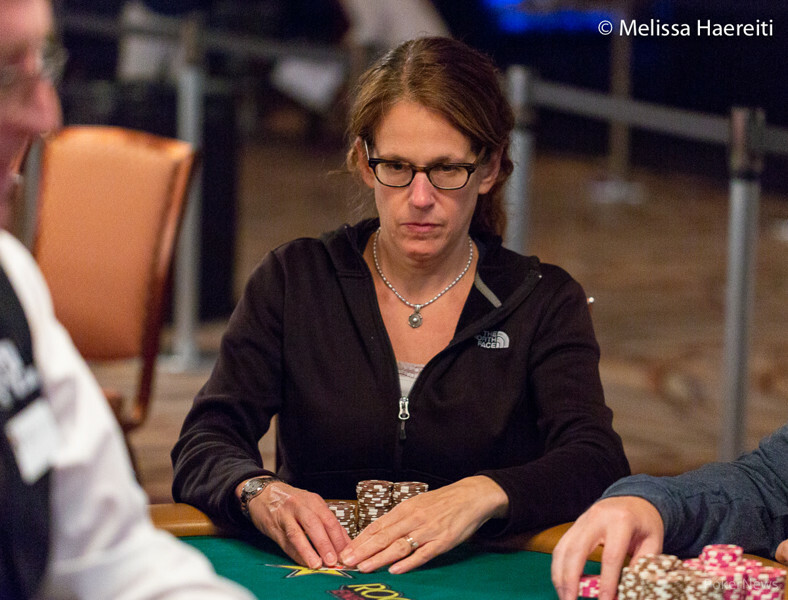 Other newcomers are John Durney (Aberdeen) whose only recorded cash so far is 2nd place in a deal at the Venetian Deepstack Extravaganza #92 $75K NLHE, and Portland’s Amy Schwarz, who beat out 8,906 other players for a 14th-place finish in WSOP #6 NLHE The Giant, the $365 tournament with the $2.676M prize pool that ran qualifiers throughout the series and wrapped up at the end of June. Seattle’s Laurence Hughes kept the hammer down as the summer series came to a close, with a final table in a seniors tournament at the Wynn on 8 July (7th of nearly 500 entries), a final table (3rd) in a seniors tournament at Bellagio three days later (only 64 entries, but chopped by Eli Elezra and Michael Holm), and 5th place in a Wynn Summer Classic $200K NLHE three days after that. Wrapping things up in this catch-up edition are a couple of 3rd place finishes in the WSOP Daily Deepstacks. Kent’s Kevin Jenkins did it on 29 June, Phillippe Olbrechts pulled it off on 5 July. That’s far from all the winners and cashers. Don’t argue with anyone who says they cashed the main just because they’re not on here; if they didn’t at least triple their buyin, I didn’t cover it. Let them live out their fantasies. What's up with poker in Portland? Anyone know what games/stakes I could expect to find on a Friday or Saturday night, and where? I think I might know someone. The heat this week may delay me, but I’m going to try to get the weekly #PNWPokerCal back in operation. Thanks to everyone who’s offered thanks and support over the summer! This entry was posted in General Poker, Live Games, Poker Calendar, Tournaments by Poker Mutant. Bookmark the permalink.